We just released the GeoGebra 3D Graphing Calculator for iOS! 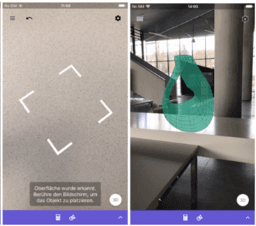 Place math objects on any surface and walk around them with Augmented Reality (AR) enabled! Find out more in the AR Tutorial﻿!
! Nooooo! I'm not ready to spend 1000$ on a phone again, yet, but you're sure talking me into it! 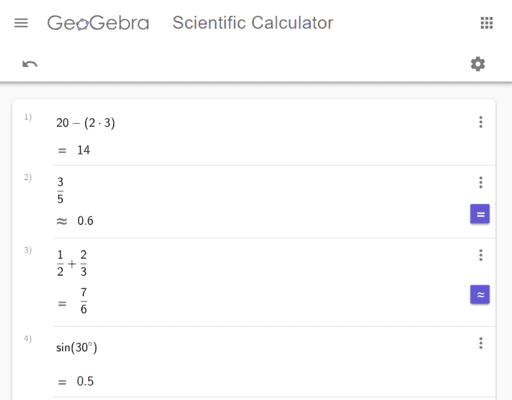 Try GeoGebra's brand new Table View! Create tables of values easily for any function! Create a table of values for a function. Will spreadsheet come back some day into the new interface? Bah. No me gusta. Please, allow me to create a table for parametric functions (plural! 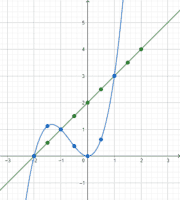 ), without having to move to Desmos (ahem!) to do so. We are currently planning some cool new features for the GeoGebra website. Help us to decide what features regarding gamification would be best to add. Find out more! 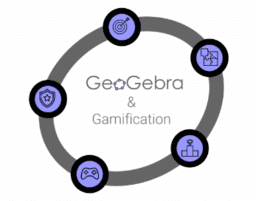 We are asking for help - please fill in this questionnaire about GeoGebra and Gamification. Our friends from Kikora created amazing self-learning tutorials. It's never been so easy to learn how to use GeoGebra Geometry App and GeoGebra Graphing Calculator! Try it! Learn how to use GeoGebra Geometry, Graphing Calculator and Classic with one of these self-learning courses created by our friends from Kikora. This is cool! Thanks a lot! 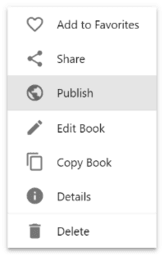 We just released our new Resource Publishing Dialog! Create, publish, choose topics and categories, done! Explore thousands of free and interactive resources with our new math topic maps. We released a new app for Android and iOS - the Scientific Calculator with Exam Mode. Try it! Is the Gathering going to happen this year? I enjoyed the last one immensely. I’d be very excited to attend again. Can't wait! I've never been so excited and enthusiastic about a mathematical gathering, can't wait to see my fellow nerds at this festival. 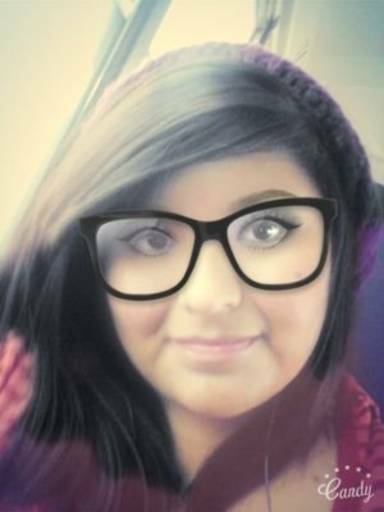 I can't wait to show off my skills that I have gained from many years of math experience, I was once a mathlete ya know, I am the best of the best from my school, I have never gotten a math question wrong, because I will spend all night working on math. 3 All nighters was the longest I had spent on a math problem, some say I am crazy but I believe it's just my interest and enthusiasm in the thought process and understanding of math! I could go on and on and on and on and on and on and on and on and on and on and on about math!!!!!!!!!!!!!!!!!!!!!!!!!!!!!!!!!!!! 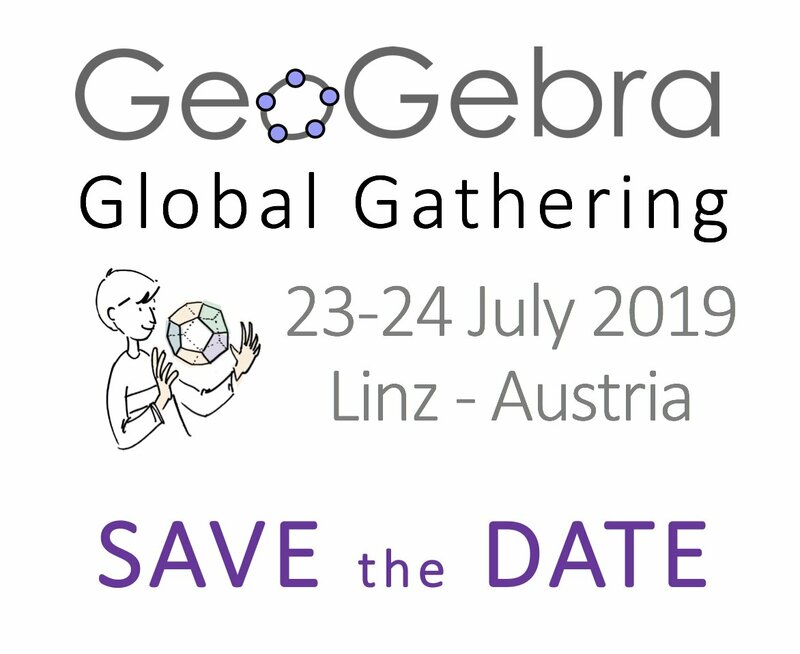 I have never been to this gathering though, so I would definitely like some more information on the idea of this gathering. This also would be a great opportunity to meet people. I have never actual friendship before because I always isolate myself for days in a row... But it will be fine to find others like me!!!!! !